Chinese camp system evolving into “Xinjiang Archipelago”? For the Uighurs, an individual’s level of religious devotion and Chinese-language skills are factors determining the severity of punishment, a researcher says. China’s crackdown in Xinjiang province (occupied East Turkistan) has attracted increasing international attention over the past year. All Muslim groups in the region are now finding themselves targeted, new research suggests. And the internment camp system has evolved into a hierarchy of punishments, ranging from the loss of travel privileges to forced labor to incarceration. Kasikci describes five levels of punishment for those who run afoul of authorities in Xinjiang (occupied East Turkistan). The harshest level is prison, followed by internment camps and forced-labor factories. Less harsh levels are house arrest and passport confiscation, which, in effect, restrict an individual to his or her town or city of residence. The government of the Chinese regime warned United Nations delegates not to attend a panel event on human rights violations in East Turkistan(Xinjiang) last month, where the Chinese regime faced international criticism for detaining reported millions of ethnic minority people (majority of whom are Uighurs) in extrajudicial “reeducation” centers (concentration camps). A letter obtained by NGO Human Rights Watch from Chinese ambassador Yu Jianhua cautioned delegates against joining the meeting in Geneva, Switzerland. In the appeal dated March 7, Yu said: “In the interest of our bilateral relations and continued multilateral cooperation, I hereby kindly request your delegation, bearing in mind the political motivation behind the above-mentioned side event, not to co-sponsor, participate in or be present at this side event.” The panel event was jointly hosted by the United States, Canada, Germany, the Netherlands, and the United Kingdom on March 13. 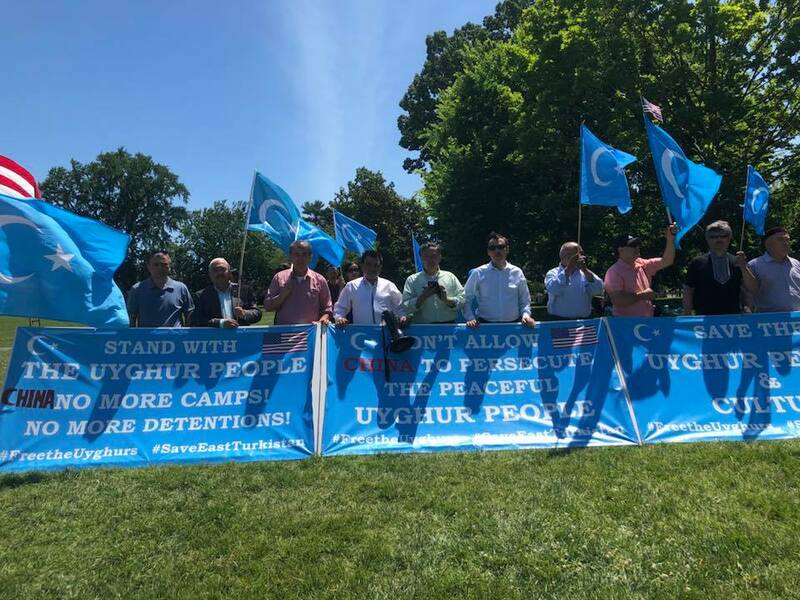 More than a million people, for no reason other than their ethnicity or religion, are held in concentration camps in what Beijing calls the Xinjiang Uygur Autonomous Region and what traditional inhabitants of the area, the Uighurs, say is East Turkestan. 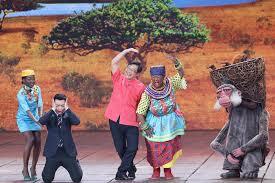 In addition to Uighurs, ethnic Kazakhs are also held in these facilities. The camps, a crime against humanity, are spreading. China is now building similar facilities, given various euphemistic names such as “vocational training centers,” in Tibet, in China’s southwest. The Third Reich and the People’s Republic of China share a virulent racism, in China politely referred to as “Han chauvinism.” The Han category, which is said to include about 92% of the population of the People’s Republic, is in truth the amalgamation of related ethnic groups. As a result of racism, many in China, including officials, “believe themselves to be categorically different from and impliedly superior to the rest of the humankind,” writes Fei-Ling Wang, author of The China Order: Centralia, World Empire, and the Nature of Chinese Power. The New York Times’s chilling multimedia package on China’s use of “smart city” tech to create an open-air prison in East Turkistan (Xinjiang). The Chinese regime’s imprisonment of up to 3,000,000 Uighurs and other Muslims in concentration camps in Xinjiang province (Occupied East Turkistan) is well known, but less-well-understood are the systems of oppressive technology that are being deployed outside of these prison camps: mandatory mobile malware that spies on every step you take, used in combination with DNA-level surveillance and other tools. In a chilling, beautifully reported multimedia package, the New York Times’s Chris Buckley, Paul Mozur and Austin Ramzy paint a picture of life in Kashgar, a historically significant city in Xinjiang (occupied East Turkistan) where the majority of the population are drawn from predominantly Muslim Uighurs. Forced organ harvesting in communist Chinese regime: What do you know about the world of forced organ harvesting? Forced organ harvesting is when people are killed for the organ to be removed. The recipients are wealthy Chinese or transplant tourists who travel to China and pay a substantial sum to receive the transplant. The waiting times are extremely short and at times even vital organs are booked in advance. The victims are primarily people who follow the Buddha School practice of Falun Gong, along with Uighur Muslims (a Turkic ethnic group currently being detained in millions in East Turkistan), Tibetan Buddhists and potentially House Church Christians. “Where has this mosque gone?” tweeted Shawn Zhang, a University of British Columbia law student on Tuesday, referring to the Id’gah Mosque in Keriya county of East Turkistan (Xinjiang, China). The centuries-old building “disappeared in early 2018 despite [being] a Major Historical and Cultural Site Protected at National Level,” meaning destruction would require State Council approval. The demolition of mosques and other historical places in East Turkistan has been reported earlier in the past 2 years. It’s been estimated that 90% of the mosques in East Turkistan has been destroyed or forcefully turned into non-religious places, for example a bar or a storage room. Nevertheless, some major mosques (like the historical Id’gah Mosque in Kashgar and other major mosques) at the center of a town, county or city have survived the first wave of ‘mosque cleansing’ among the ~10% mosques. However, the recent news and satellite images are revealing is a another wave of ‘mosque cleansing’ aimed at destroying even those major and historical mosques of hundreds years of history. Among those are the central mosque (~800 years of history) in Keriya county in Khotan prefecture and the central mosque (~500 years of history) in Kargilik county in Kashgar prefecture of East Turkistan. Merely due to their ethnic identity, Uighurs in East Turkistan are subjected to surveillance and control by the Chinese authorities. Bitter Winter received a copy of a counterterrorism work plan issued by the Public Security Bureau of a county in China’s central Henan Province during the 2019 meeting of the National People’s Congress (NPC) and Chinese People’s Political Consultative Conference (CPPCC). According to the plan, upon coming across Uighurs from Xinjiang (occupied East Turkistan), police officers must report immediately to the counterterrorism office and carry out follow-up work. They must also gather information about their activities, related capital flow, online communications, religious activities, interactions and relationships, and event such minute details as the purchase of goods. Uighurs are also closely tracked and monitored when traveling by bus or train. A source who requested anonymity provided Bitter Winter with a notice issued by a railway department in Henan province of China regarding the “disposition process for key focus groups,” Uighurs from East Turkistan being one of such focus groups. 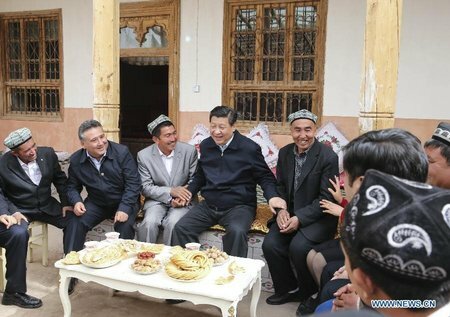 The levelling of ancient sites in Xinjiang (occupied East Turkistan), alongside mass detention, is part of an attempt to destroy an entire Uighur society. Mosques are not the only targets. Whole cities are being redesigned to facilitate maximum security and surveillance of the local population. Sites of architectural interest such as the ancient city of Kashgar have been demolished and rebuilt to suit the needs of what the government proclaims will be a flourishing tourism industry in Xinjiang (occupied East Turkistan). And it’s not just the built heritage that is being destroyed. The bulldozer is also at work on communities, culture and people’s lives. Everyday religious practice in Xinjiang (occupied East Turkistan) has been effectively banned. 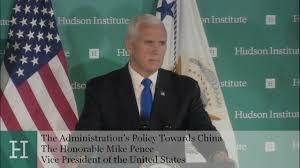 We can also see this targeting of culture and identity in new restrictions on the use of Uighur language, compulsory lessons in Chinese, the promotion of interethnic marriage, and the constant mobilization of ordinary Uighurs to demonstrate their patriotism by celebrating Chinese festivals and singing revolutionary songs. This is no targeted response to violent extremism, but a concerted campaign to hollow out a whole culture, to terrorize a whole people, and the Chinese government is using the west’s global war on terror to excuse its horrific atrocities against humanity.